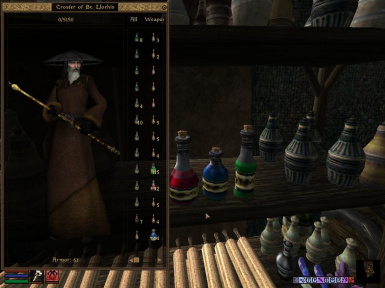 Just replaces the immensely huge Mazte, Greef, Shein and Sujamma bottles with exact smaller versions. 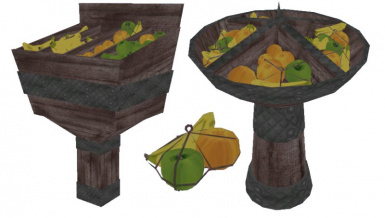 Adds imported fruit in fruit stands outside trade houses, docks, transport or similar establishments. Fruit are bought at fruit stands. 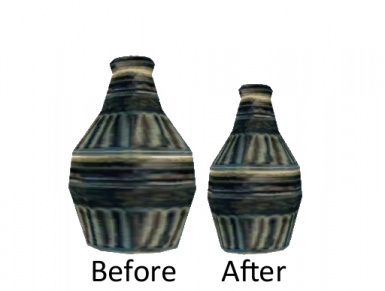 Replaces the HEALTH, FATIGUE and MANA potions and icons so they can be better spotted in the inventory, and in-game. 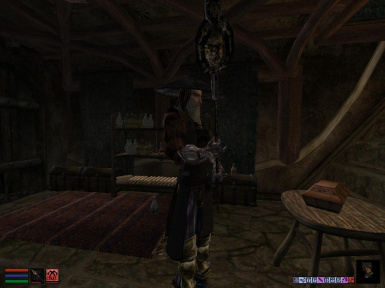 JK - Bosmer Jump Sounds======================Bain friendly.Adds random, non repetitive jump sounds to bosmer males(my fav) or any other male race I suppose...Goes into Data folderUse Wrye Mash! !Credits: Bethesda, me.